For most students, getting their college bachelor's degree takes four years. For some, five. The 28-year-old financial blogger from St. Louis graduated in business administration and management in 2010, and then later got a finance MBA. By stacking credits while still in high school and taking a heavy course load in college, she shaved a full year off her college experience at Webster University. "I saved at least $40,000," she says. Schroeder-Gardner's college-on-steroids experience is an instructive one. What if one solution to the nation's student debt crisis were right in front of our noses this whole time: Finishing your degree as quickly as humanly possible? 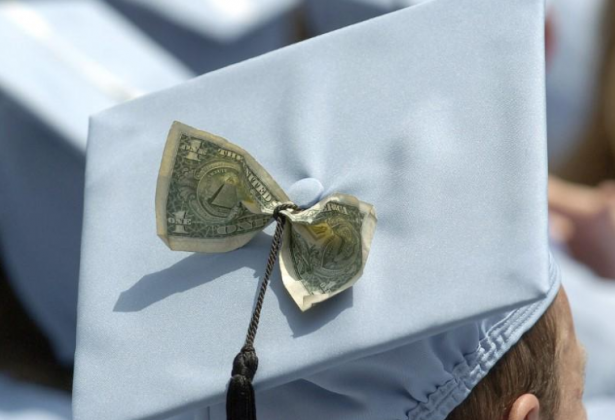 A quarter of students already take an accelerated load, according to a new report by student loan company Sallie Mae, "How America Pays for College." Nate Sabat, who graduated from Boston's Berklee College of Music a year early, saved $50,000 when he graduated in 2015 because he was able to lop off a year. "That's money in the bank. And my parents were very surprised and happy to hear it," says Sabat, currently a bassist in the bluegrass band Mile Twelve. There are other options, too. Kristina Ellis, author of "How To Graduate Debt-Free," suggests taking advantage of dual-enrollment high school classes (offered in partnership with local colleges), IB diplomas (International Baccalaureate), and CLEP tests (College-Level Examination Programs) to springboard you into advanced college work. "Act fast so you don't get closed out," says Nancy Brenner, a New York City public relations professional who polished off her Brooklyn College degree in three years. "Otherwise you can't advance to the next level, and that is a critical mistake." If you are graduating ahead of time, "it is not like a magic light goes on and everyone knows about it," says Brenner. "No one even realizes you are graduating early." But if an intensive summer can help cancel another full year of schooling, then it can be worth the short-term pain. That is what Schroeder-Gardner did, taking so many credits one summer that "the dean advised me not to," she laughs. "I used time to my advantage - and always made sure everything flowed together perfectly."